2. Switch to the People view in the bottom left-hand corner of the screen. 3. 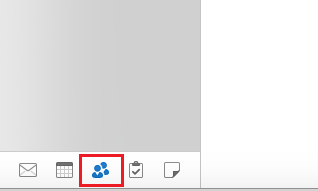 From the People screen, select Create New Contact Group under the Home tab. 4. Enter the Name of the contact group, and click the Add button in the top toolbar to add contacts. 5. Select Save & Close to finish. 6. 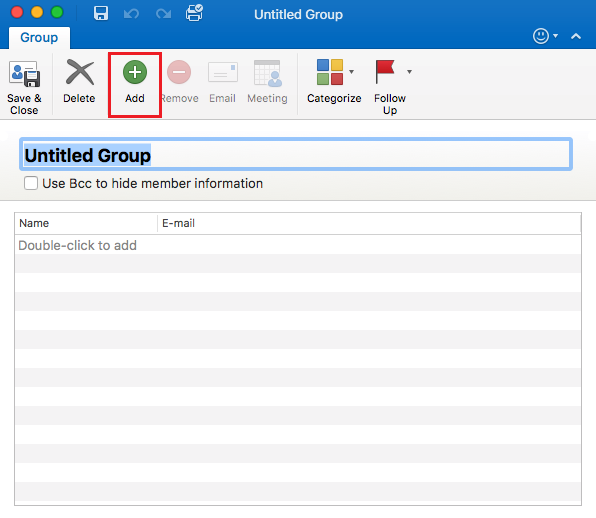 To manage your group after it is created, double-click the group. The Edit window will reappear and allow you to make the proper revisions. 7. To delete the contact group, highlight the desired group and click the Delete option from the toolbar at the top of the screen. A dialog box will ask if you are sure. Select Delete.